Homeschooling 3: Weekly Highlights ~ Singing Blessings Over Our Children, Favorite and Not So Favorite Homeschool Resources AND an Award! 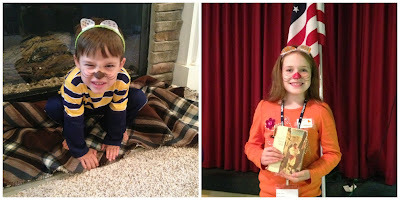 Weekly Highlights ~ Singing Blessings Over Our Children, Favorite and Not So Favorite Homeschool Resources AND an Award! Well, it's official. Since my last posting I turned in my resignation to the Schoolhouse Review Crew. It's been a wonderful year and a half of reviewing educational resources for the Crew. The benefits have greatly blessed our family. It was time for a break though. My little ones have been asking for more Mommy time. Although I worked hard to make sure I blogged mostly when they were asleep, there were many occasions I needed to work on posts during the evenings, too. 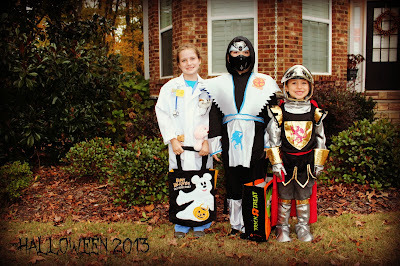 I am thankful that we can take a break for a season and I can focus completely on being mommy. Ryan completed his second (blue) Sparks' book two weeks ago and received his Blue Sparky Award! I am so proud of him. He worked double time to complete his book super early. You see, we did Awana when our oldest was in preschool. We moved and didn't start back to Awana until last year, after finding our new church home. Ryan was first grade at that time and brand new to Awana. All new Sparkies start in the first Sparky book (green). I didn't realize that to work his way through all of Sparks, he would need to finish three books in two years. Instead of the normal three books in three years. So, now we are on a good, accelerated pace to finish his last (red) Sparks book before club ends in May. It will be tough, but my little guy can do it! Mr. John, as he was called that day shared a few songs with us, gave a short devotional, shared with us a little about his family's adoption journey (link is to a youtube video) and sang blessings over our children (and for the grownups, too). It was absolutely touching. Here is Mr. John performing that song. Do you sing blessings, which are essentially prayers over your children? I had never really thought of singing them before, nor had I ever heard this song Bless Us and Keep Us until yesterday. Did you know God sings over us? *update- My friend Amy @ A Journey of Purpose is also in our co-op. We both teach the three year olds. I teach one hour and she teaches the other. She found this great article explaining how to bless our children. **And here is another article that speaks to my heart even more clearly about blessing our children. Caraline and Ryan continue to love Homeschool Spanish Academy and Senora Rosa. She makes class interesting and memorable for them. In case you've never heard of HSA, the lessons are over Skype once a week for 25 minutes. Throughout the week I review the PDF pages that were taught by Senora Rosa. I can be a good tutor because I sit in on their lessons! This is one of our favorite Schoolhouse Review Crew resources! Caraline (4th grade) confessed (I knew it was coming.) First Language Lessons was becoming tedious and boring. She recognizes that she's learning great things, but the format is dry and repetitious ~ to her. Thankfully, a friend that homeschooled her two children through highschool blessed us two weeks ago with quite a few of her favorite resources for Caraline's age, including The Writer's Jungle - something I'd never heard of before. While poking around on the website I found a free sample of The Arrow, a digital, literature based grammar/language arts program! It seems to be the breath of fresh air we need! We will continue using Daily Grams, which she loves and pair that with The Arrow and ideas from The Writer's Jungle. Another friend from our co-op is letting us borrow IEW's Student Writing Intensive A. Caraline is loving this DVD based program. I'm not using the writing practices - that would make this a full, year long program. I am using the DVD just as a seminar, and it is working out great! It is a wonderful change of pace, and the teaching is isn't dry or boring! Another friend is letting us sample All About Reading, Level 1 (aff) for our Kindergartner . I've gone over the first three lessons in AAR 1 with Jonathan and I really like the format. I've found that the lessons are long, but broken up the teaching is great! I am also leaving out the student workbook sheets. So far, I believe review on the white board is plenty. As we complete more lessons, the worksheets may become necessary. I'll keep evaluating that one. Positive Action Curriculum's, Enjoying God's Gifts is another curriculum we are sampling (and had never heard of) from our friend, Shannon. I am loving it. The kids are loving it. I might be asking for level 2 for Christmas. I could never do three levels with the kids, but finding a good middle ground to go through with my K, 2nd and 4th grader would be great! Top Left: Sir Jonathan caught a toad at a neighbor's house on Halloween. It made his night - pee and all. Thankfully, the next door neighbor let us in for a good hand washing and an old plastic bowl to keep him in. Later that night Mr. Toad was released into our backyard. Top Right: We visited family this past weekend. It's nice to be able to take school with us on the road. Bottom Left: Caraline and I have matching Sunday shoes! Bottom Right: Paw Paw has crafted the finest chicken coop I've ever seen. The kids enjoyed playing chicken (Jon) and farmers (Care and Ry). I heard a lot of "little feller" from the kids. I laughed and laughed at them. Hopefully, there will be chickens the next time we visit and come spring we can help harvest the eggs. ~ My daughter picked this picture of the coop to post because Sophie, the little dog is in it. They adore each other. of the kids helping thin the forest at Maw Maw and Paw Paw's. They had the best time figuring out which pines were dead and using their muscles to push them over. We are sharing our Weekly Highlights with our friends at Homegrown Learners for Collage Friday and Weird, Unsocialized Homeschooler's Weekly Wrap-up. Hi Hope! I enjoyed reading your updates.I too had never thought of singing blessings over the kids before. I thoroughly enjoyed the performance from our musical guest! I just read your Weekly Peek and I was so excited to find the article on how to bless. Thank you and thanks for stopping by, too. Thanks for linking up to Friendship Friday. It has been nice getting to know you! We still have the stuffed Sparky toy that my then 3 yr old, now 29 yr old "Cubby" fell in love with from seeing his Sparky brother's Awana book 26 years ago! The time has flown right by! It looks like you guys had a fun and productive week. What a blessing that Paw Paw and Maw Maw are a part of your children's lives! Please join us at FF again next week! 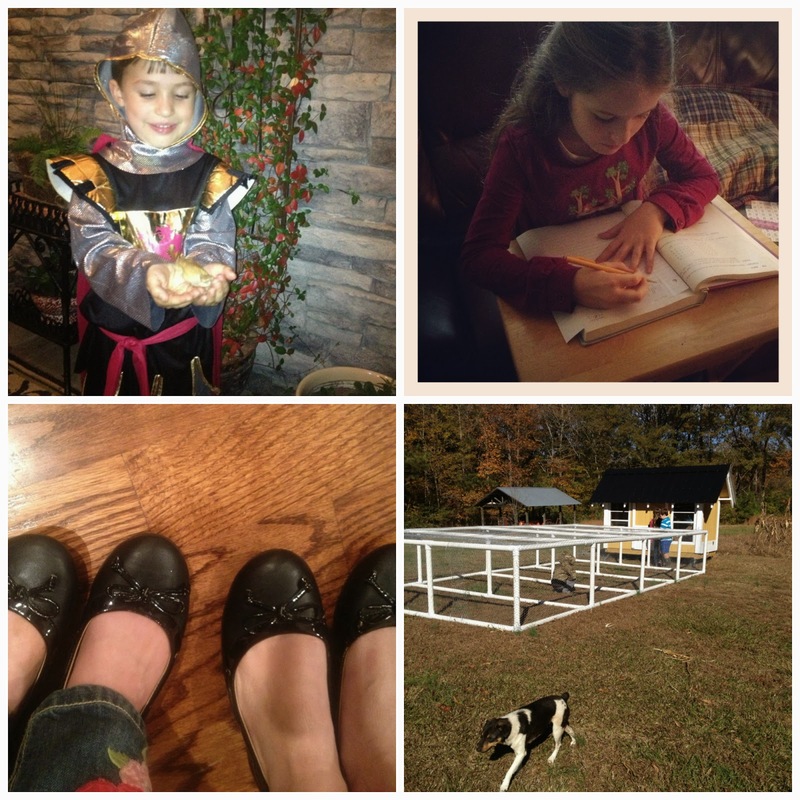 Looks like a great week:) Love the photos, especially of all the activity at Maw Maw and Paw Paw's. Those will be special lifelong memories for your kiddos! Thanks for the link to the article on how to bless your children:) My husband and I were just talking about the importance of this, especially for our little ones!! As always I really enjoyed all the events of the children. I also greatly enjoyed the performance of blessings over children.